As promised, the first book trailer for Gidion’s Blood premiered today, and here it is. I’ll have a bit more about it below. This is the first of four trailers planned for my new book. Each trailer will contain the voice of a different character who offers a different perspective on the plot and how they fit into the story. Jun provides Gidion’s greatest challenge to date and possibly ever, a vampire who makes her living (unliving?) hunting and killing vampire hunters. She’ll travel far to confront him, coming all the way from Hong Kong. At one time, I contemplated telling half of the second book from Jun’s point of view. She’s a great character, but as I got into the story, it became clear that staying with Gidion’s perspective worked much better. 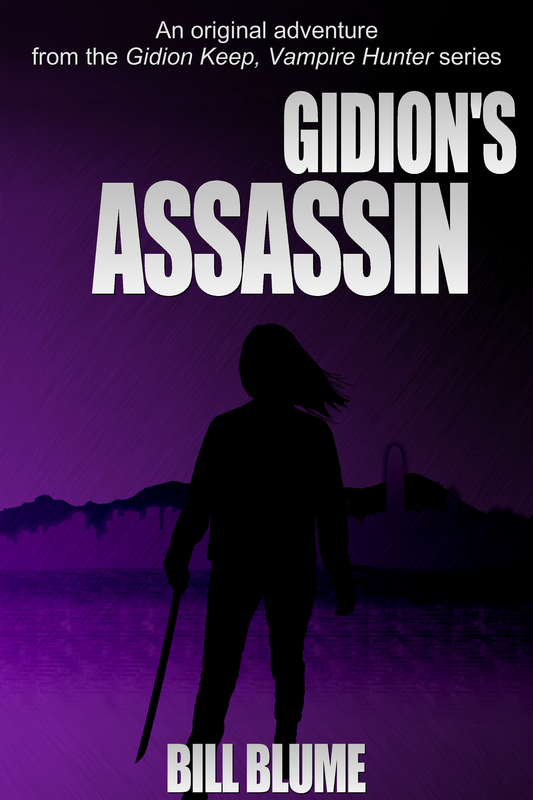 That said, I’m offering readers a rare insight into this foil to my teenage vampire hunter with a short story entitled Gidion’s Assassin. The story follows Jun as she pursues a vampire hunter through the streets of Hong Kong. You’ll be able to read this in my upcoming short story collection The Deadlands: And Other Stories. Of course, if you’re too impatient for that, I’m making the story available as an ebook from now until the release of Gidion’s Blood and The Deadlands: And Other Stories on August 11th. After that, the only place you’ll be able to read this is in the short story collection. The second book trailer will arrive on Tuesday, July 28th, just two weeks from the release of Gidion’s Blood. You’ll hear from Gidion’s father. For those who might be intrigued by his backstory, my new novel will reveal a lot more about his past. The third trailer will premiere a week later on August 4th. I’ll simply tease that one by saying it features “The One That Got Away,” a vampire whose arrival will place Gidion and his entire family at risk. I’ll release the final trailer (the big one!) on August 10th, the day before the book comes out. After all, what good would it be not to hear from Gidion before he dives back into the hunt? This entry was posted in Gidion Keep series, Writing and tagged action novel, assassin, Bill Blume, book, book trailer, Gidin's Hunt, Gidion Keep, Gidion Keep Vampire Hunter, Gidion's Blood, GidionKeep, horror novel, Jun, novel, Richmond, RVA, thriller novel, trailer, urban fantasy, vampire, vampire hunter, vampire slayer, vampires, YA, YA books, YA lit, YA Literature, young adult, Young Adult books, Young Adult Literature, young adult series. Bookmark the permalink.